What Would you Rather Do: Settle for an Ordinary Wedding Speech or Deliver an EXCEPTIONAL Speech which will Completely Bowl Over the Guests??? Giving a speech at a wedding is a Once in a Life Time Moment. You surely want to give a meaningful and memorable speech on this occasion and have an amazing sense of achievement. We are John Wilson and Belinda Hamilton, authors of several popular wedding speech books. With our decades of experience in writing wedding speeches we have come up with speech packages to completely ENTHRALL your audiences. Guaranteed! Our step by step guide will prepare you on all aspects of speech giving- the content as well as the presentation. Before coming up with these time tested and proven speech samples and toasts we have attended several wedding seminars, have had a number of brainstorming sessions with experienced speech writers, wedding specialists, professional public speakers, people who have given wedding speeches and people who will be giving wedding speeches (to understand their needs and expectations). We are offering you our years of experience in a nutshell. This comprehensive package will give you everything you ever need to know about giving your Wedding Speech. The package has professionally written, excellent, entertaining speech samples (The variety ensures there is something to suit every individual style and situation), step by step guide to help you write your own speech just like a professional would write, hundreds of exclusive wedding toasts, hilarious one-liners, funny wedding quotations, tips on how to deliver a speech like a professional speaker and lots more. All this can be on your computer screen within minutes! 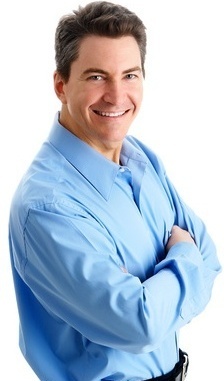 You can instantly have an entertaining speech ready and also learn the art of confidently delivering your speech. Now you can eliminate all your guess work and worries and have complete peace of mind and confidence about your speech for the wedding day. 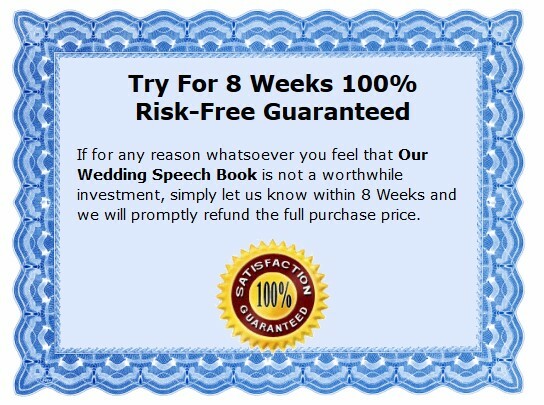 To add to your peace of mind, if for any reason whatsoever you feel you are not happy with the speech package, we will refund your 100% money within 8 weeks of your purchase. So you really have nothing to lose. Go ahead and create some wonderful memories with your wedding speech.